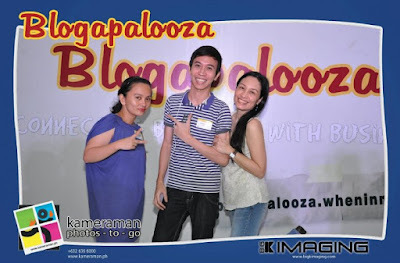 I was one of the few lucky invited bloggers to be part of the first ever Blogapalooza organized by Radio DJ Vince Golangco of WhenInManila.com with the help of some more amazing people. Actually I was the earliest bird to register at the venue! Straight from from Pampanga, I decided to meet with a couple of friends while waiting. But since we're just a couple of blocks away from Fully Booked (Bonifacio High Street), the official venue of Blogapalooza, I decided to drop by and register early. And voila! THE EARLIEST BIRD! Don't you guys think I should've gotten a bonus for that? Haha kidding! By the way, to give you an idea, Blogapalooza is a community wherein bloggers and businesses meet to share, interact and mutually perk up each and everyone. This is a great opportunity for businesses to present their products to influential people online. In return, bloggers get to receive giveaways and treats from these businesses wishing to be promoted and introduced to the online community afterwards. 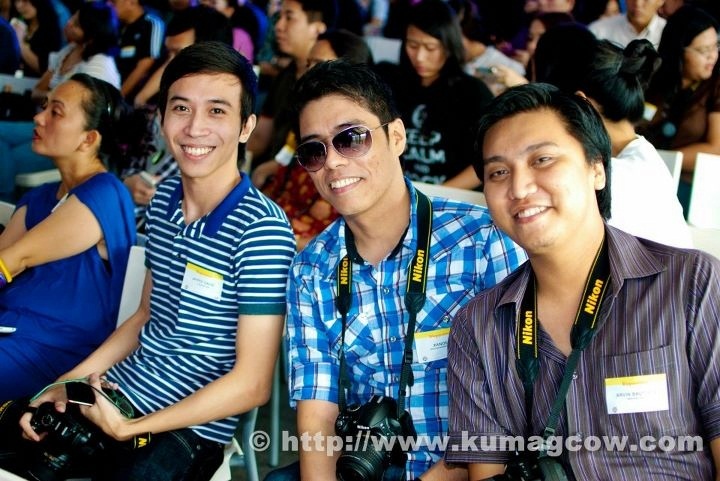 While waiting for the event to start, we had a couple of photo ops with blogger friends. I also took this chance to walk around and take photos of the event. I was with my Blogwatch Friends, Jane Uymatiao (Twitter: @philippinebeat) and Grace Nicolas (Twitter: nobodybutgrace) and some of my blogger friends Bino Bautista (damuhan.com), Xander Catiero (aboynamedxander.com) and John Michael Bueno (kumagcow.com). The event started around 1 in the afternoon; but before that, free lunch was served courtesy of Itallianis, Healthy First and Aqua Best; and oh, the carrot blend from Healthy First is so delish especially the carrot-strawberry flavor. Size Matters also served giant burgers in between the events. Around 50 businesses participated and more than 30 of them personally presented and bragged about their products and services. And after the event, all of us bloggers who attended the event get to take home a loot bag filled with stuff, goodies and gift certificates from the presenters. And as per WhenInManila.com's estimation, the giveaways inside the loot bag are worth P12,000 more or less. Cool! 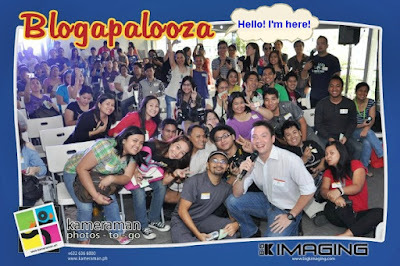 DJ Vince Golangco rockin' the house!